Buy All-in-one Brother MFC 6490cw with CISS with CISS and make 30 times more quality prints for the same money! Pay only 0.04 USD for A-4 full color print! Brother MFC 6490 is an up-to-date wireless all-in-one printer of a new generation with widened capabilities, it consist not only of a color printer, but also a color scanner and copier. It also has large color display. You will able to make copy or to print necessary documents both at home or in office. And there is also a function, which will give you a possibility of sending scanned files by e-mail. Such printer doesn't have to take a lot of space. All the functions and capabilities, which you could need, are combined in Brother MFC-6490CW wireless all-in-one inkjet printer. It fulfills these operations perfectly and, moreover, it works quickly and easy. This device as well as its fellows Brother MFC-5460CN and Brother DCP-350CR, inherited from its predecessors famous configurations and recognizable design, which Brother company has kept for many generations of manufacturing such compact home printers. The design of the control panel is pretty ordinary. Fax is situated on the left side of it and on its right, the menu functional navigation buttons are located. It also has start and stop buttons of copier and scanner. A large color 84mm LCD-display is at the middle. Due to it, you will able to overlook reduced documents and move through the menu at one time. There is a 100-sheets paper tray, which is situated under the control panel. Also you could use a 20-sheets photo paper tray, that adjusted in the cover. To fill the tray with photo, you have to remove the main paper tray at first. Then you have to move the tray, so that it came forward on wheels. 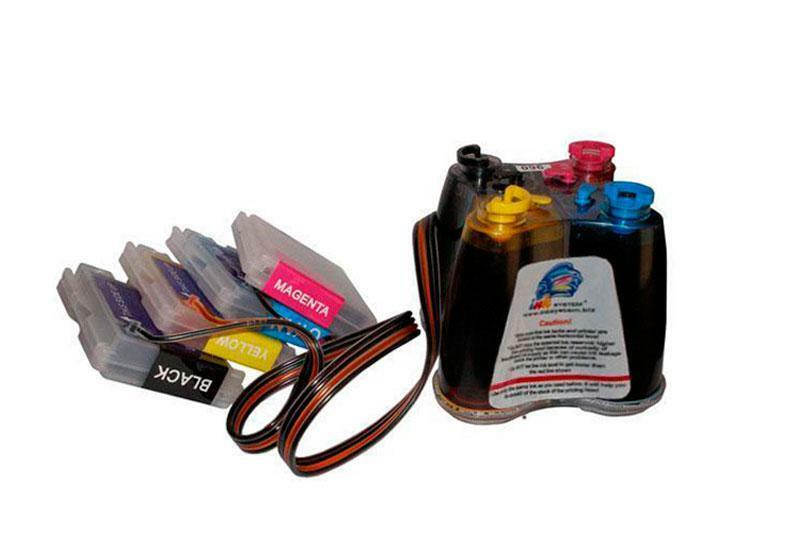 MFC-6490 Brother has four independent cartridges (CMYK). They are located in a box at the front panel, that is why you will not need to open an upper part of the device. This construction is very practical and even a nonprofessional will able to change consumables. This multifunctional princting device has minimum set of functions. It has a wireless Wi-Fi communications interface, that is very significant for a home user. It also has the best compact dimensions and weight parameters. This printing device has a high operation speed and it makes copies of different documents and scan with appropriate speed as for a home device. The presentations in the centers of new technologies such as New York, Washington, Boston, Detroit, Chicago, has shown, that the operation of this printer is on a high level compared with its competitors. Brother printer mfc-6490 printer is a pretty modern and stylish color inkjet printer with compact dimensions among its class. Its 15-sheets auto feeder is practical and handy for copying, scanning and sanding fax. Due to the wireless interface (802.11b/g) or wired connection (Ethernet) you will able to connect several users simultaneously. You could use its rather large 3.3" color LCD display to provide menu operation and to improve quality of images without PC connection. Document Glass Size Ledger 11.7" x 17"
One-Push Wireless Setup Secure Easy Setup?вЂћ?, WiFi Protected Setup?вЂћ?, AOSS?вЂћ? Recommended Paper Brands Brother Inkjet Plain Paper (BP60PL), Brother Matte Inkjet Paper (BP60ML), Brother Ledger Plain Inkjet Paper (BPPLGR), Innobella?вЂћ? Ledger Glossy Paper (BP71GLGR), Innobella?вЂћ? Glossy 8.5" x 11" Photo Paper (BP71GLTR); Innobella?вЂћ? Glossy 4" x 6" Photo Paper (BP71GP20), and 3M 3410 Transparency Film. Minimum Paper Width/Length (Paper Tray) (Tray 1) 3.5"/5.0", (Tray 2) 8.5"/11"
Maximum Paper Width/Length (Paper Tray) Ledger 11" x 17"
Sheet Weight - Paper Tray (max/min) (Tray 1) 17-28 lbs. (Tray 2) 17-58 lbs. Unit Dimensions (W"xD"xH") 21.3" x 19.2" x 12.7"
Unit Weight (lbs) 34.4 lbs.